At Rite Rate, we have been the best plumber, air conditioning company, and heating company in Caldwell, NJ. Our services include repair, replacement, and installation of air conditioners, heaters, and plumbing fixtures. Apart from that, we also help our clients by guiding them on the best kind of maintenance practices to follow. 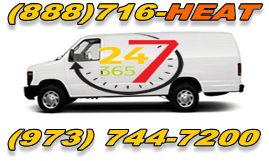 Here at Rite Rate, we operate on a 24/7 hour basis in order for us to be available for when you need emergency repairs. We will also offer you the best plumbing services at affordable costs. We highly value the comfort of our clients, that is why we are always ready to help out whenever your heating system breaks down. Our heating company in Caldwell, NJ, consists of expert technicians who will arrive quickly and get right to work with the heating repairs. We utilize the latest technology and all our equipment is kept in good condition to ensure that they perform as required. We will help you in fixing your furnace, boilers, and thermostats. You can rest assured that we will do everything in our power to see that your heating system is running efficiently. Our heating repair in Caldwell, NJ is affordable and we work on all makes and models of residential and commercial heaters. As the preferred air conditioning company in Caldwell, NJ, Rite Rate provides installation, replacement, and 24/7 air conditioning repair. If your air conditioner stops working as it should, do not sweat it, just give us a call and will fix it for you. Our technicians are highly trained in servicing all types of air conditioners thus making us the air conditioning company you can rely on. Whether you want to install a new cooling unit or replace it, you can always count on us to get the job done. We also offer convenient plumbing services and would be delighted to help you out. We also offer toilet replacement, faucet repair, and the maintenance of drains, sewer, and sump pumps as well. There’s no plumbing fixture we can’t repair, replace, or install. From frozen pipe repair to sewer and drain cleaning, Rite Rate is your go-to plumber! We have a team of trained experts and utilize the latest technology in order for us to serve you better. 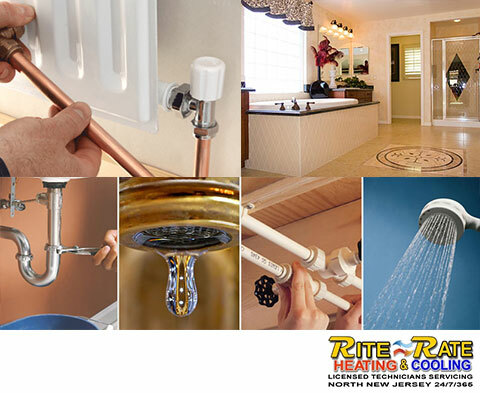 Rite Rate is certified and licensed professionals for all your plumbing, air conditioning, and heating needs. Let us be the plumbing, air conditioning, and heating company you can rely on!